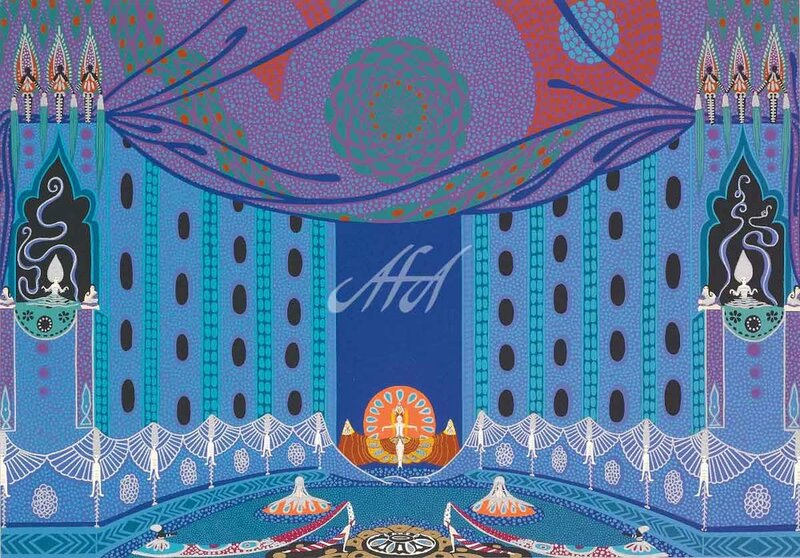 Erte graphic Artwork — American Fine Art Inc. 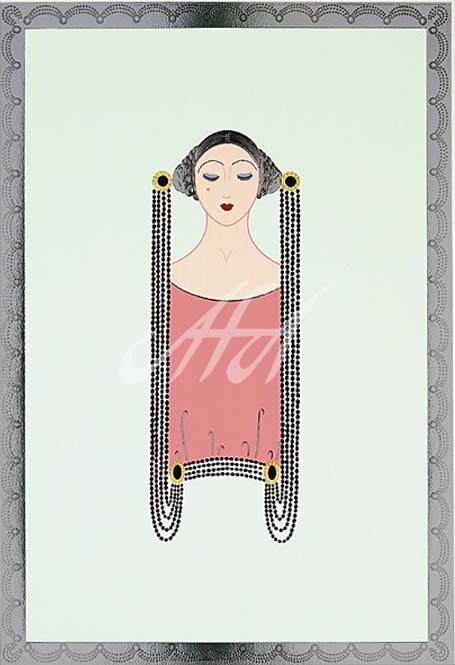 Recognized widely for his elegant fashion designs, Erte is a true pioneer of the Art Deco movement. Perhaps his most popular image is Symphony in Black, depicting a stylized, slender, and lengthy woman draped in black holding an equally sleek dog on a leash. 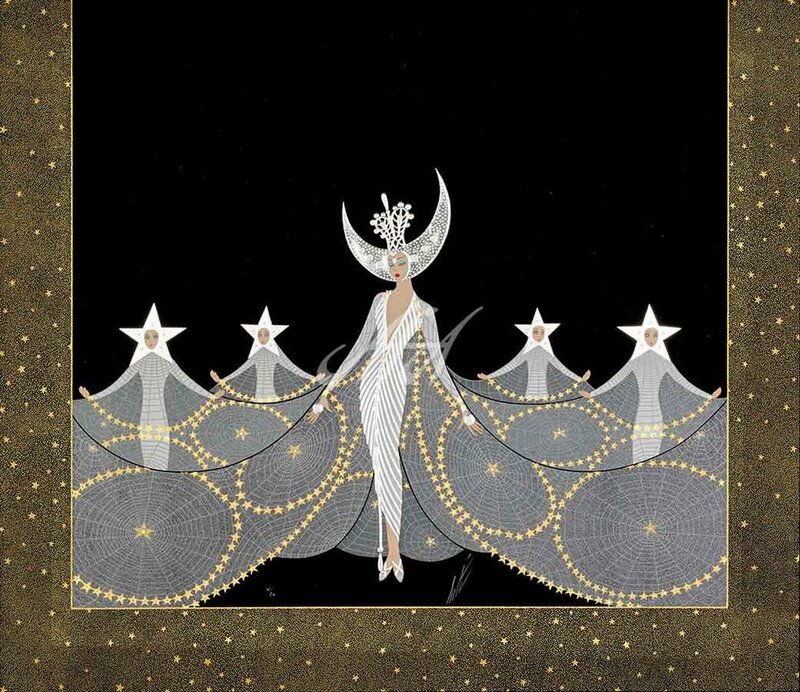 Romain de Tirtoff, known later as Erte, was born in St. Petersburg Russia in 1892. The only son of an admiral in the Imperial Fleet, he was raised amidst Russia’s social elite. As a young boy, the Persian miniatures he found in his father’s library fascinated him. 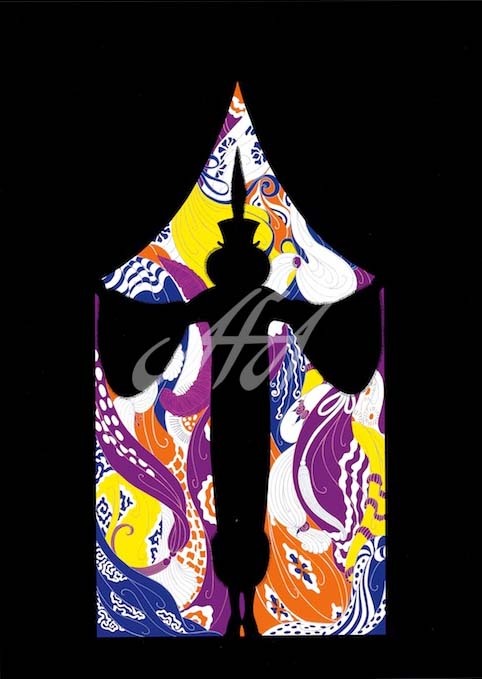 These exotic, brightly patterned designs continued to be important to him and influenced the development of his style. 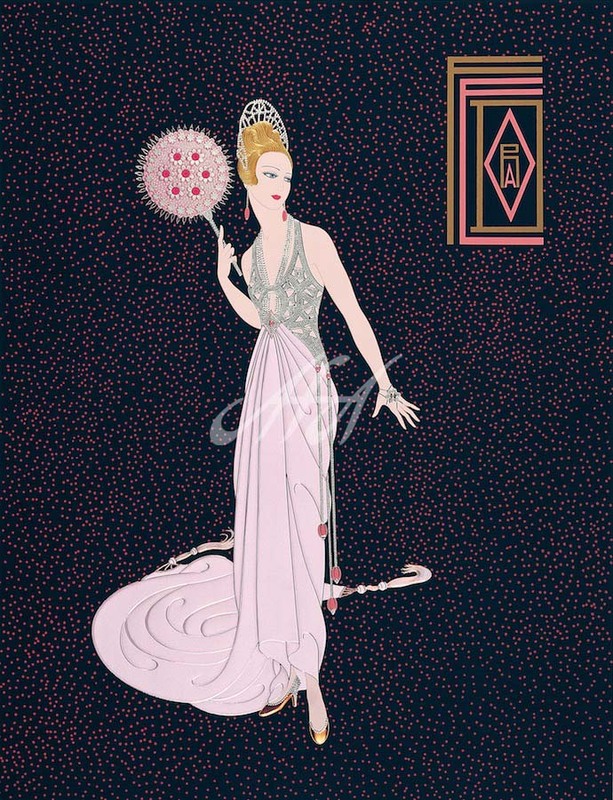 He moved to Paris at the age of eighteen and took the name Erte, from the French pronunciation of his initials. In 1915 he began a relationship with Harper’s Bazaar, during which time he created over 240 covers for the magazine. His fashion designs also appeared in many other publications, making him one of the most widely recognized artists of the 1920’s. He designed costumes and sets for the theater, as well as limited edition prints, bronzes, and wearable arts. In 1976 the French government awarded Erte the title of Officer of the Arts and Letters, and in 1982 the Medaille de Vermeil de la Ville de Paris was bestowed upon him. 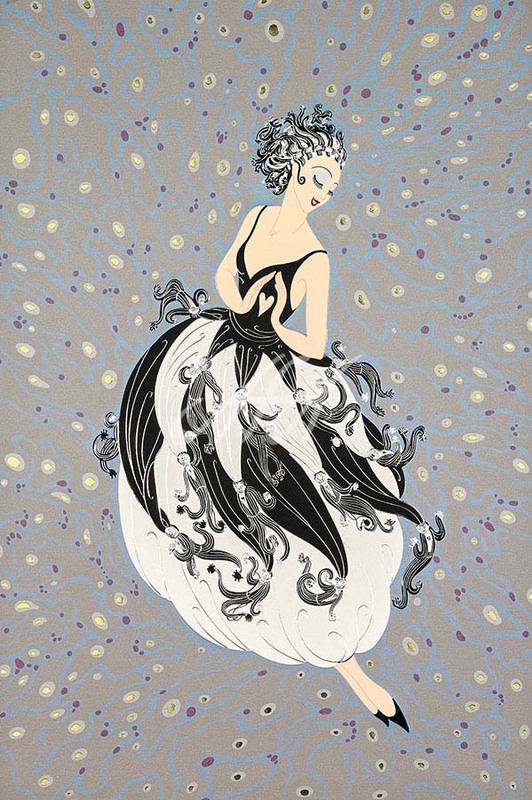 Erte’s work has exhibited in prominent museums around the world, including the Metropolitan Museum of Art in New York, the Los Angeles County Museum in California, the Smithsonian Institute in Washington, D.C., and the Victoria and Albert Museum in London, England. 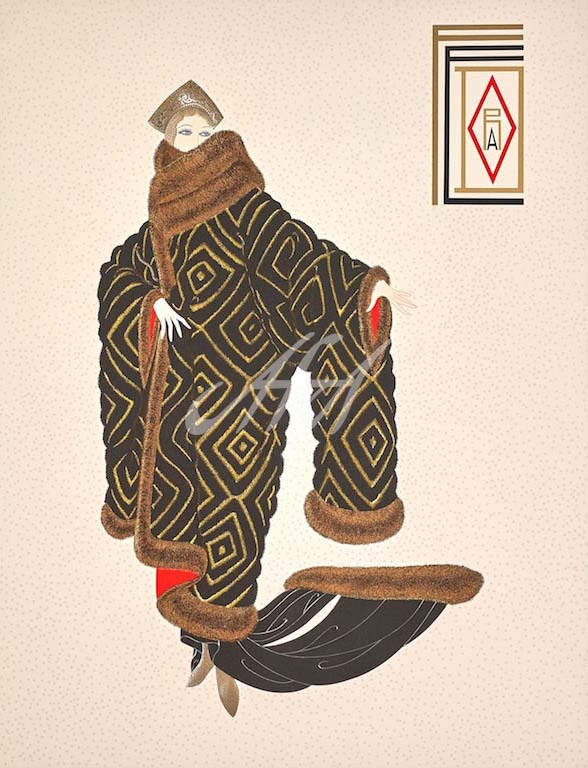 Erte is credited as the originator of the Art Deco Movement, and his designs are still widely recognized today. 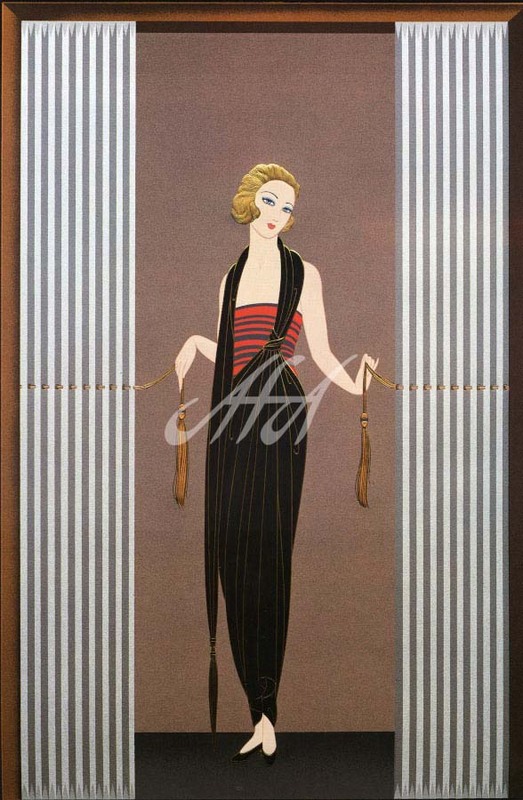 American Fine Art, Inc. is proud to feature the original sculpture, paintings, and prints of this nationally acclaimed master of the Art Deco Style. The gallery hosts a variety of other internationally acclaimed masters including: Pablo Picasso, Andy Warhol, Joan Miro, Andrew Wyeth, LeRoy Neiman, Salvador Dali, Marc Chagall, and more. Visit our 12,000 sq. ft. showroom in Scottsdale, AZ or call today. Our website is offered only as a limited place to browse or refresh your memory and is not a reflection of our current inventory. If you need to learn more about collecting, pricing, value or any other art information your International Art Consultant will assist you and give you the one on one attention you deserve. We hope you find our website helpful and look forward to seeing you in Scottsdale soon.